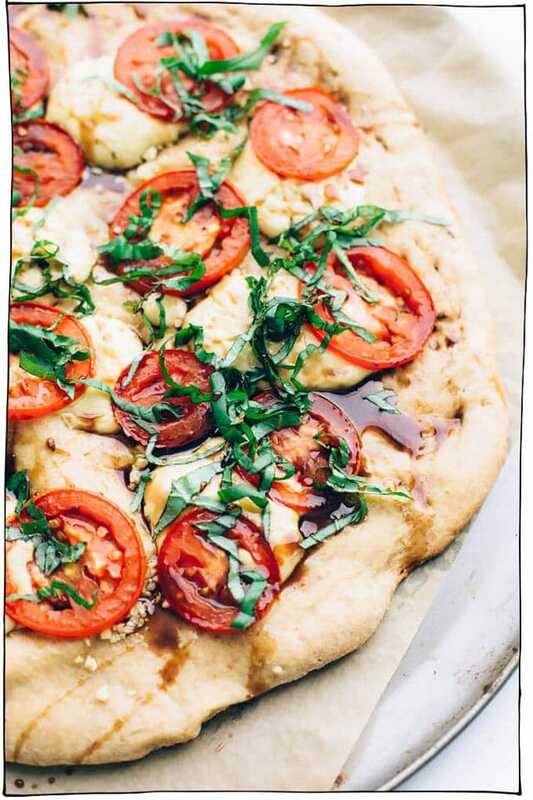 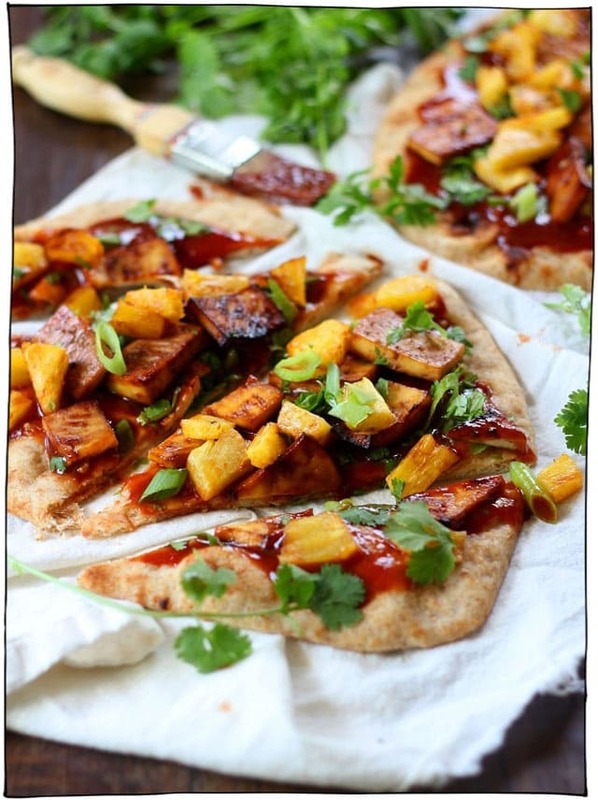 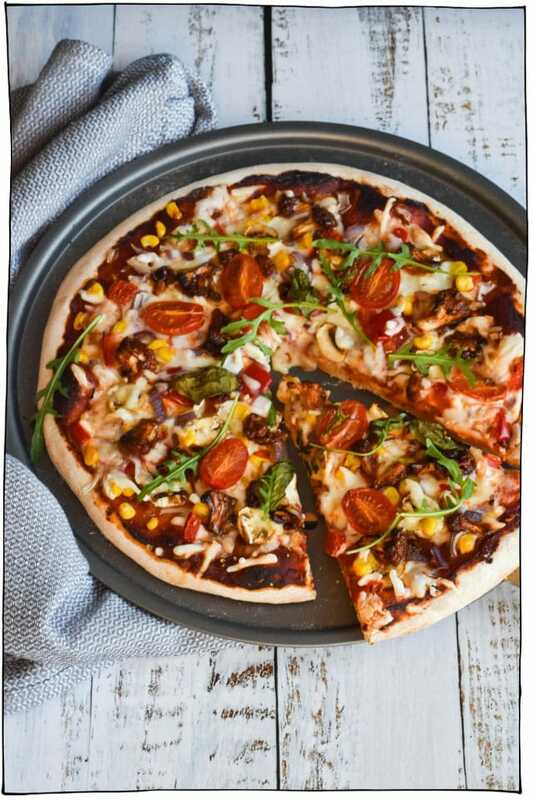 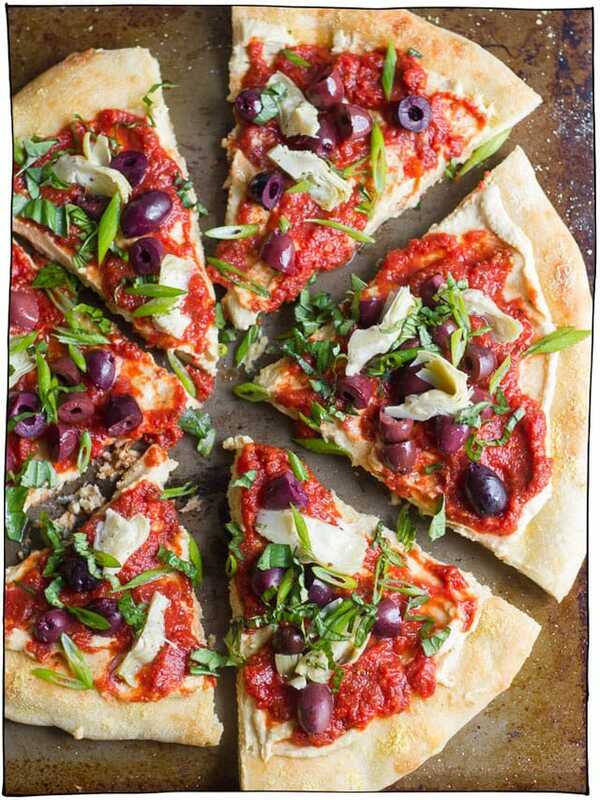 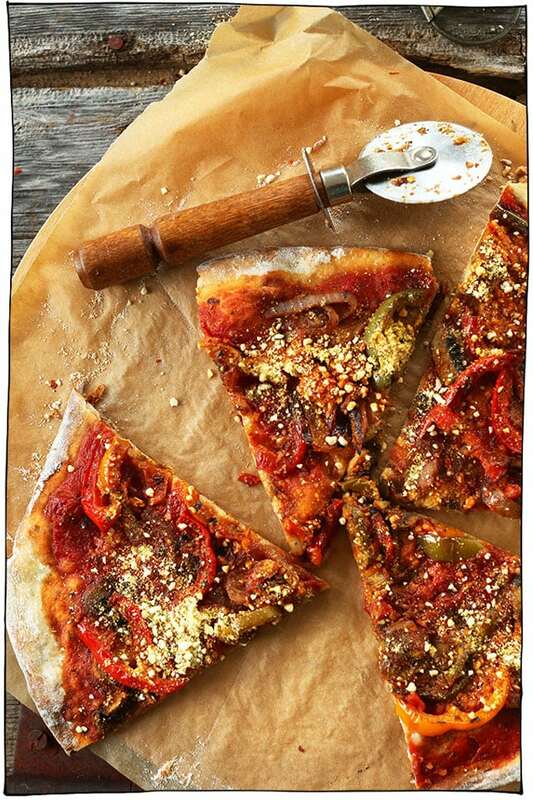 25 of the Best Vegan Pizza recipes coming at you! 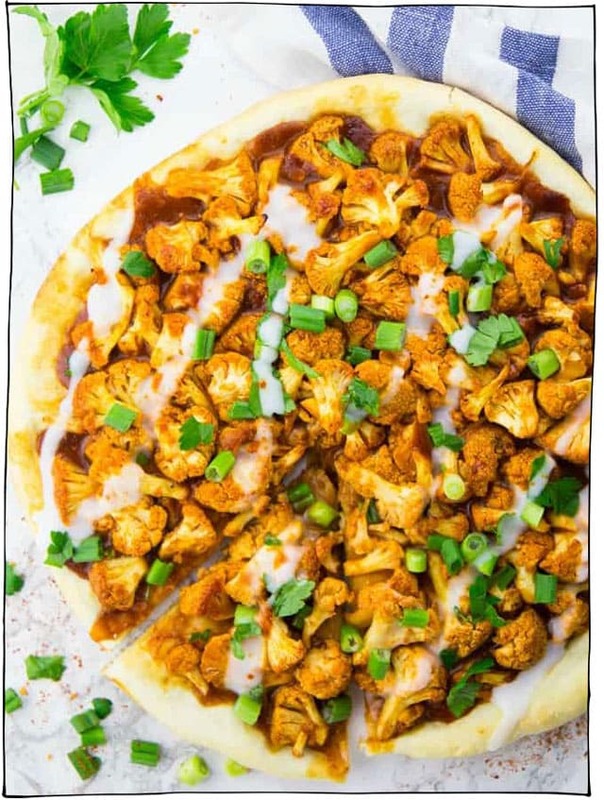 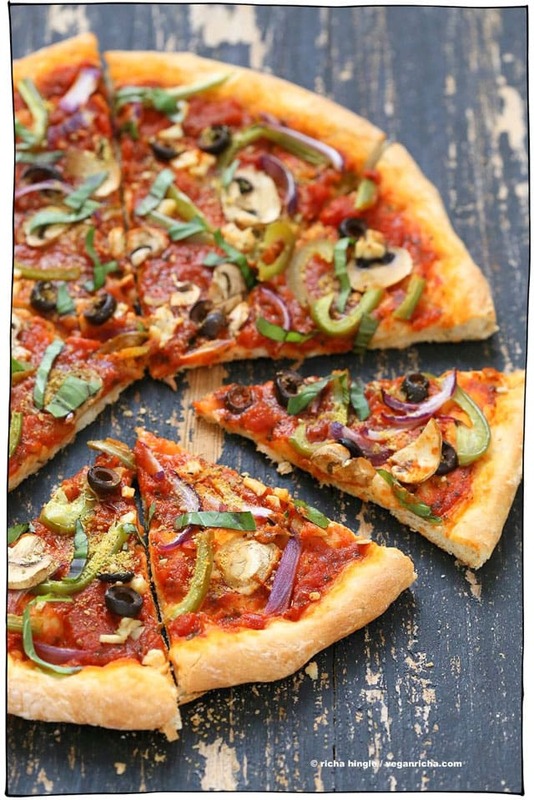 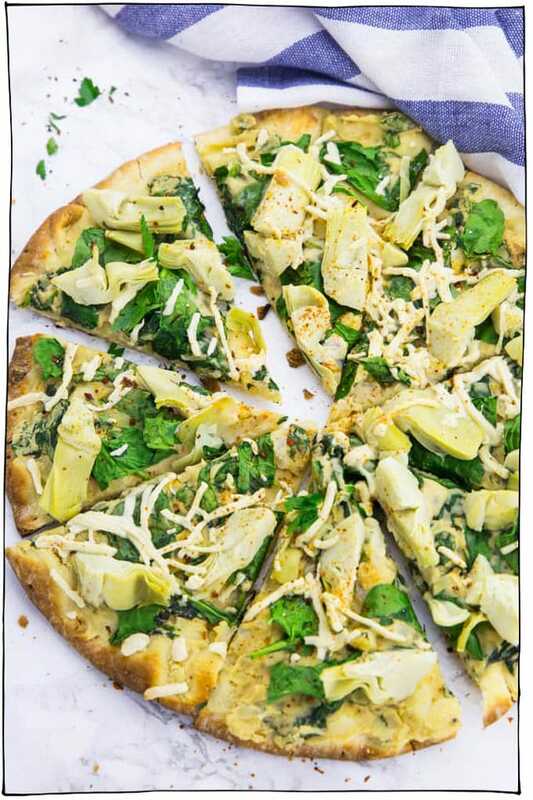 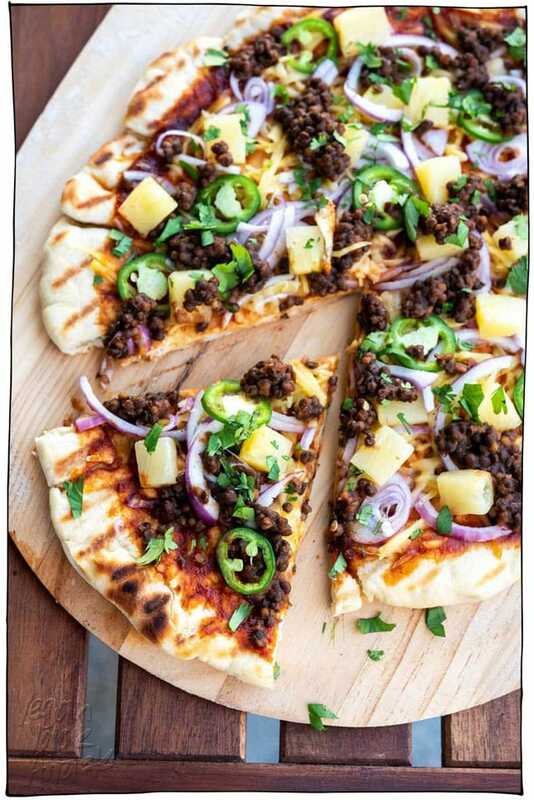 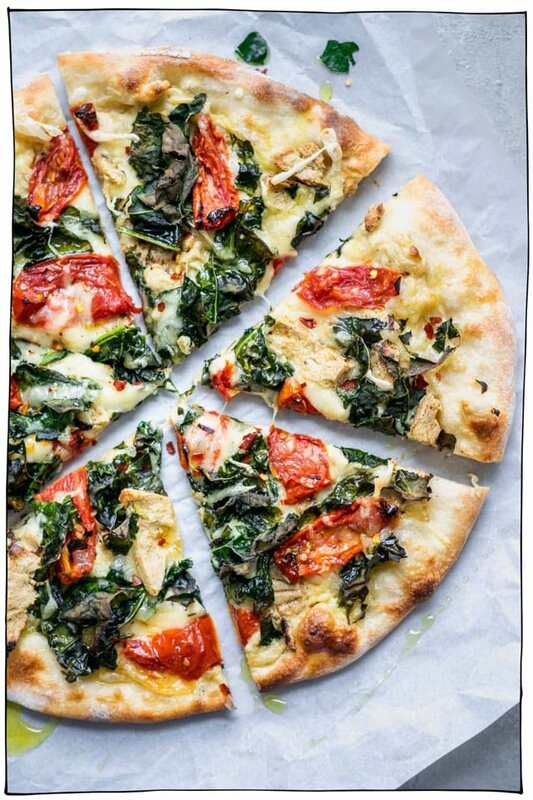 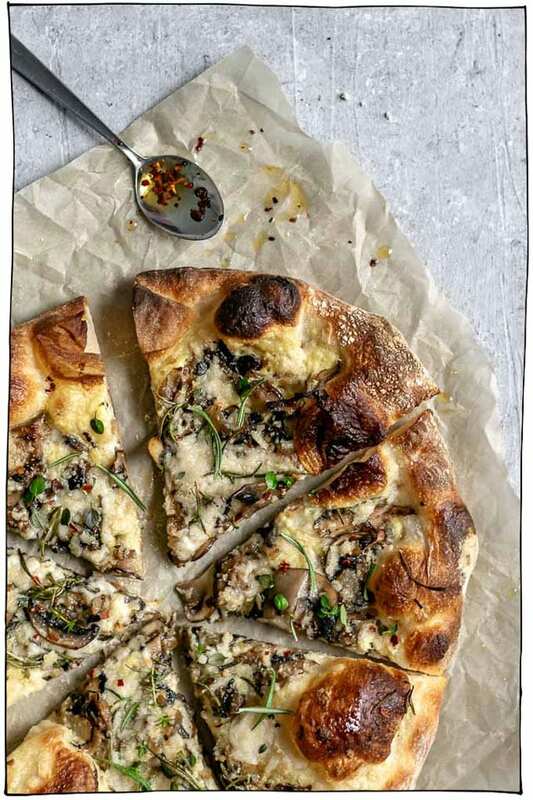 Whether you prefer classic toppings such as melty vegan cheeses, tomato sauces, and basil, or you’re into more adventurous pizza toppings like nacho pizza, coconut pizza, jalapeno popper pizza, and breakfast pizza, I’ve got the best vegan pizza recipes on the net for you right here. 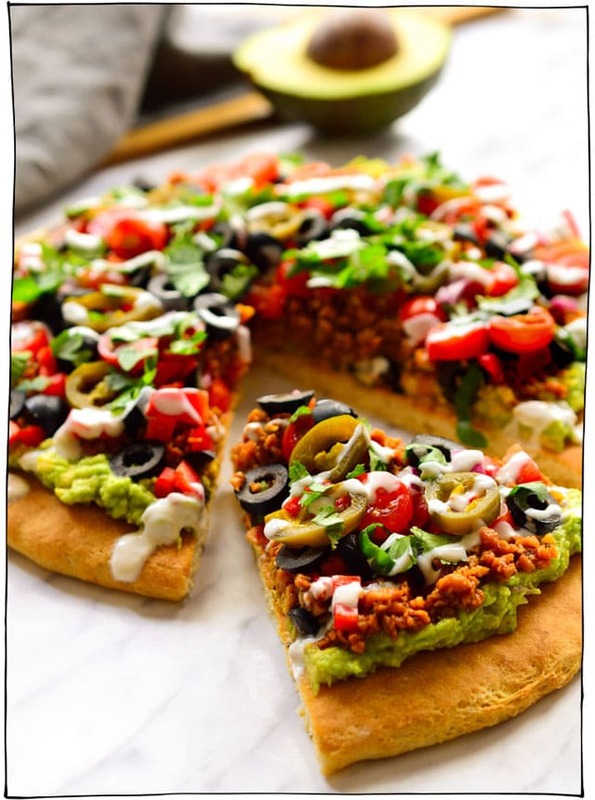 Sure, delivery is fine, but it’s so much more fun to make your own vegan pizzas so you can really go adventurous with the toppings. 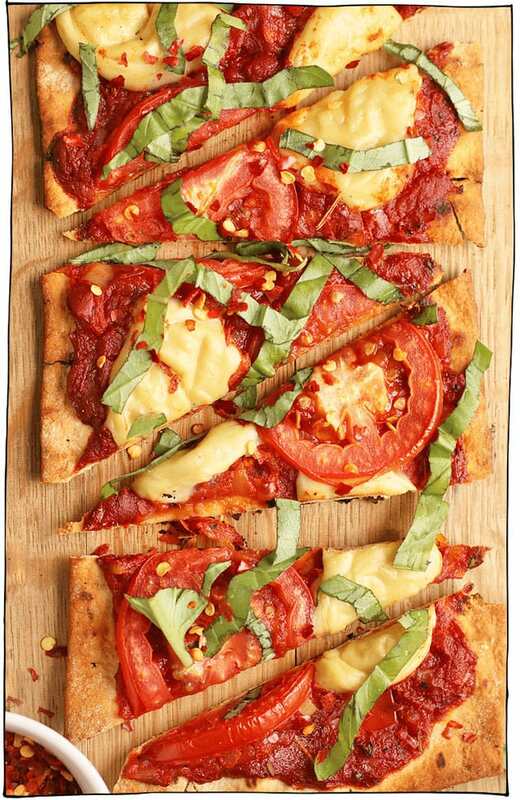 If you’re up for making your own pizza dough, my favourite recipe is in my cookbook, then just top to your heart’s content! 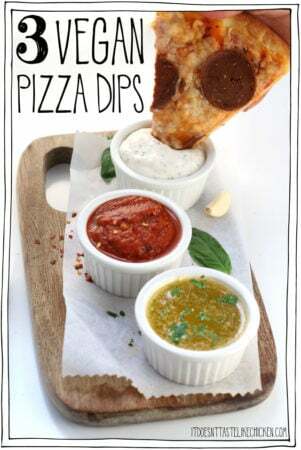 You can follow any of these recipes exactly, or feel free to be inspired by the recipes and have a DIY pizza assembly station where everyone can make their own pizzas and top them how they choose. 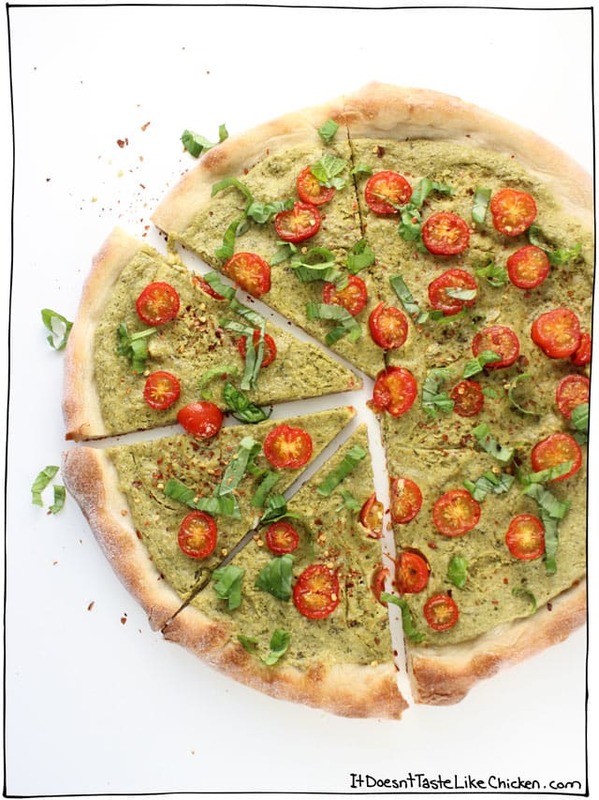 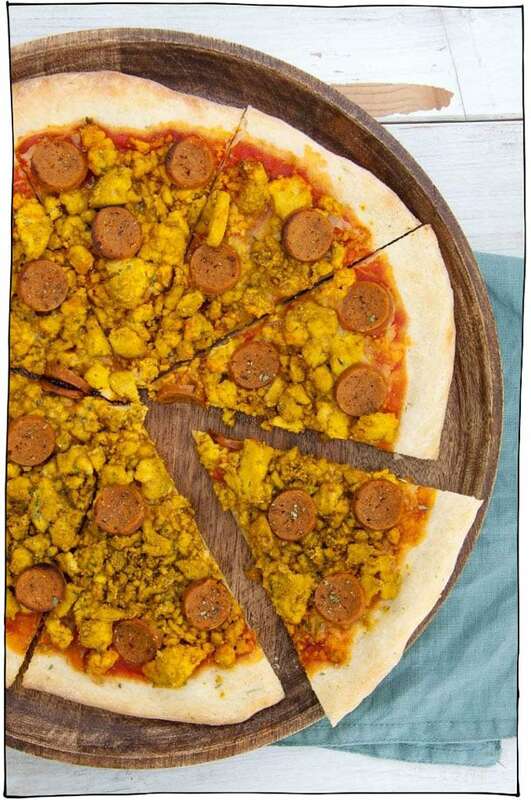 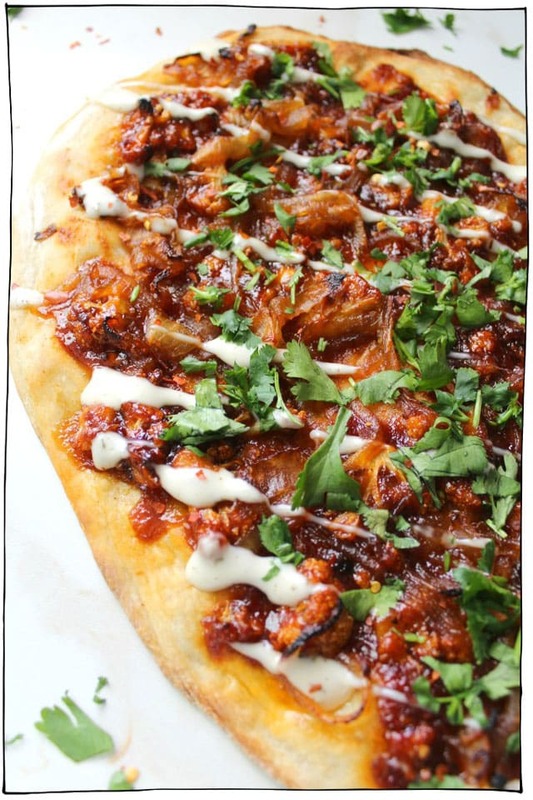 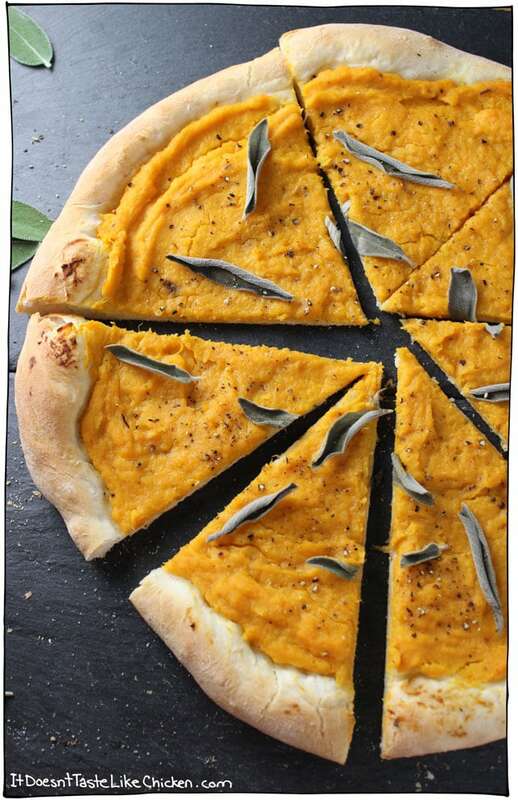 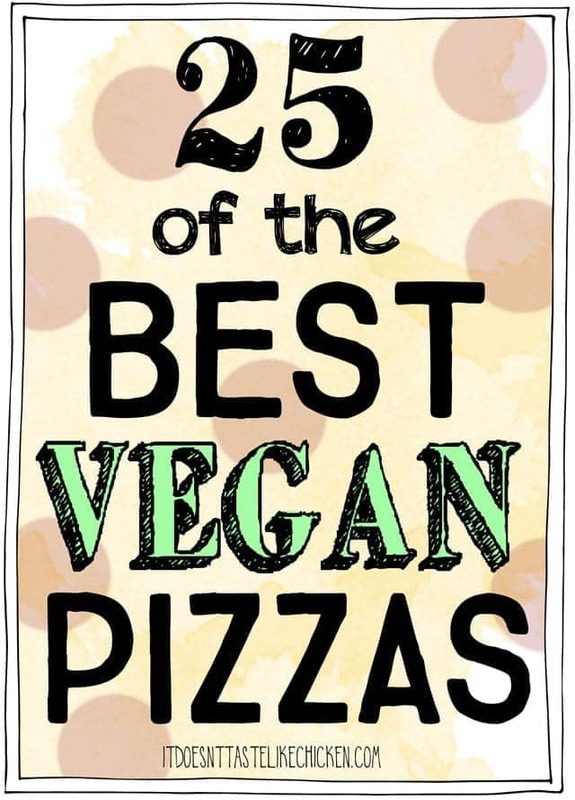 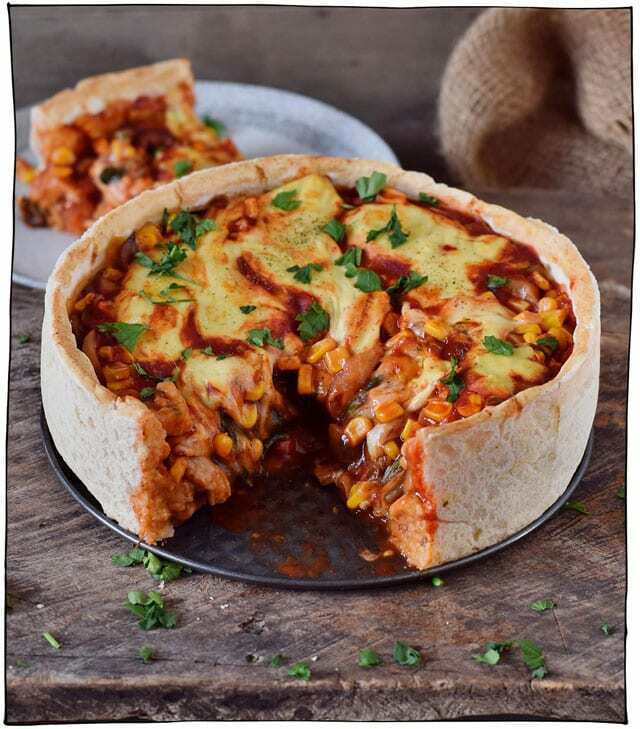 Check out all of the glorious vegan pizzas below. 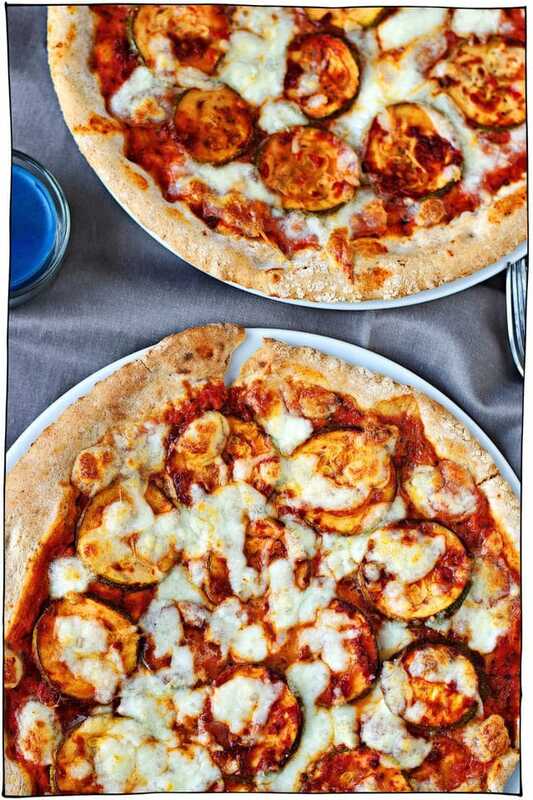 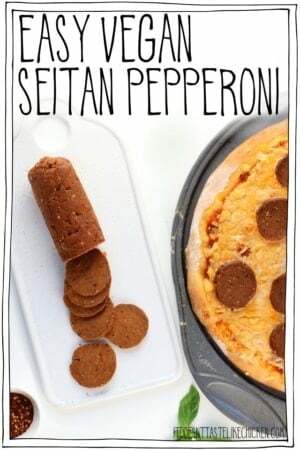 To view the full recipe click on the picture of the pizza you like or the title of the recipe, to take you to the full recipe write up. 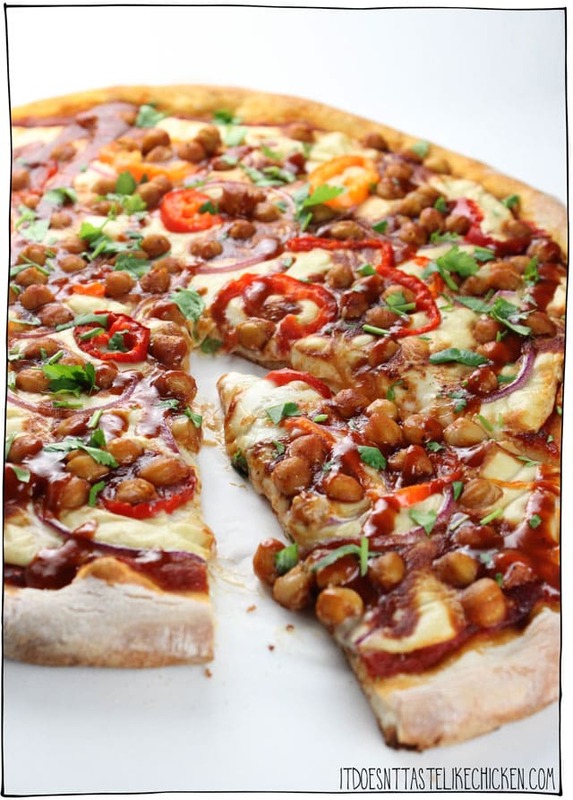 Some pizzas are my own recipes, but many are from amazing food bloggers across the net. 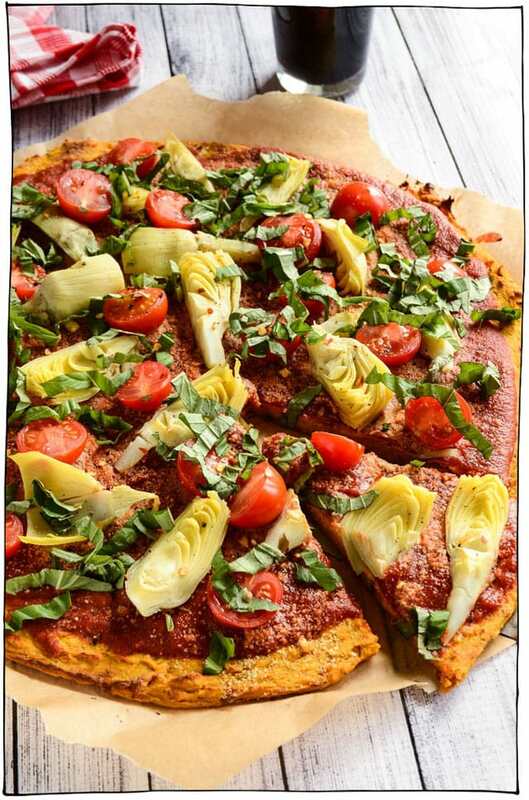 Endless vegan pizza deliciousness to discover! 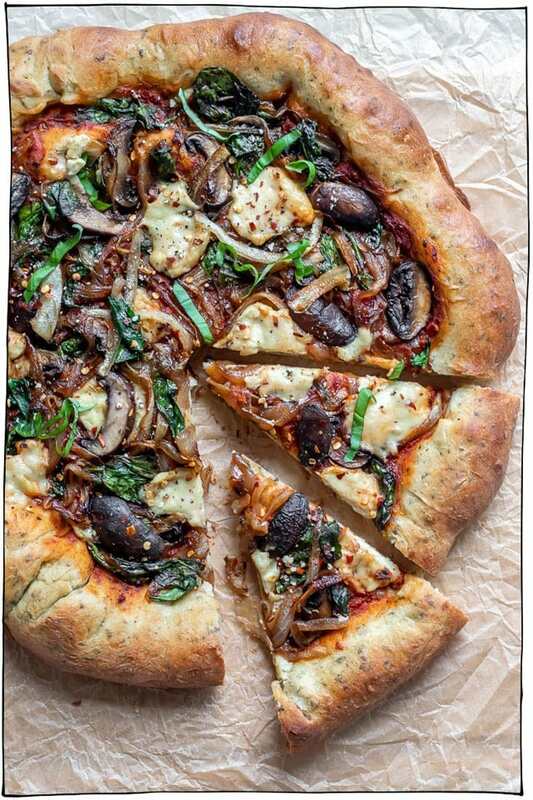 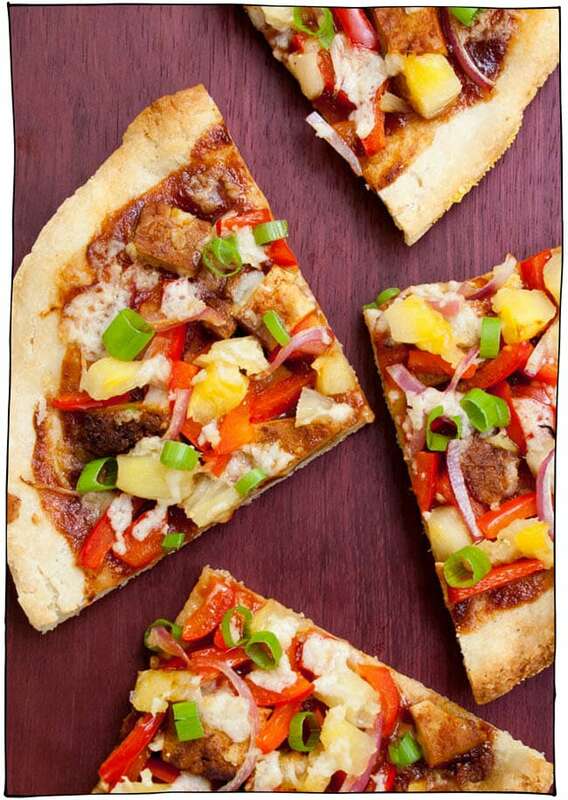 My mouth is watering seeing all these delicious looking pizza recipes, hehe. 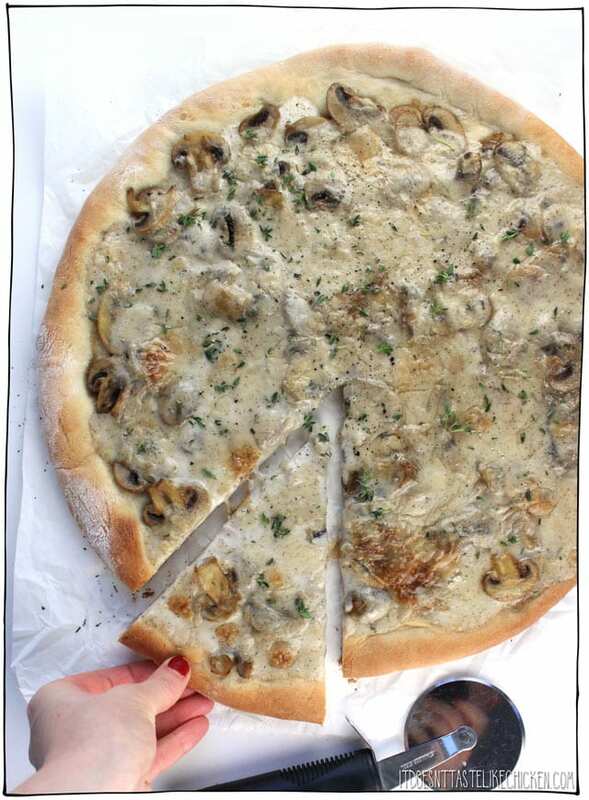 Ela, I have your deep dish pizza saved to try soon. 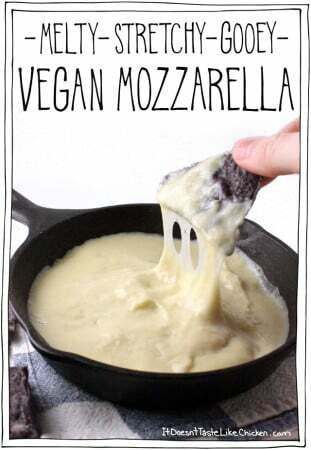 I just need to get a pan that will work. 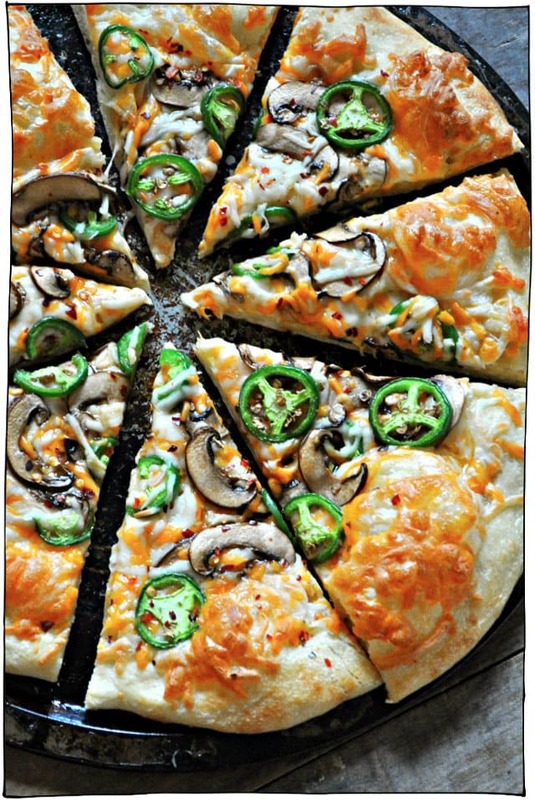 I did try your cheese recipe you use for the pizza last night and it was amazing! 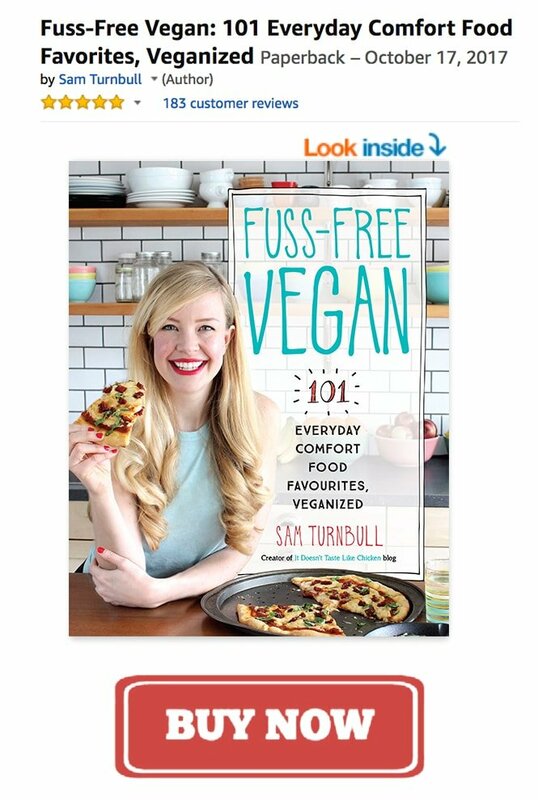 Thank you, Sam, for sharing!